Pendle Hill was deeply honored to welcome noted author and professor Michelle Alexander as keynote speaker to our “Ending Mass Incareration and the New Jim Crow” conference. 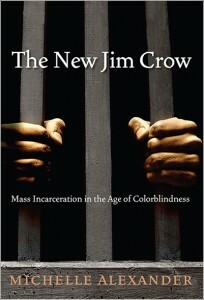 In her best-selling book The New Jim Crow: Mass Incarceration in the Age of Colorblindness, Ms. Alexander provides a penetrating analysis of the current system of policing, law enforcement, and criminal justice that shows why and how these systems have evolved and been manipulated to create an undercaste of poor people of color. She addressed some of these questions during her address, and showed how critical a sustained mass social movement is to changing this situation. Ms. Alexander’s interview-style presentation was presided over by J. Jondhi Harrell and Daniel Hunter, whose bios you can read below. 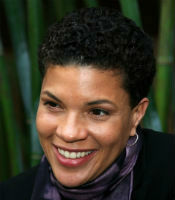 Click to view the Michelle Alexander Interview: The New Jim Crow and Ending Mass Incarceration. Videos of the conference’s plenary sessions will be posted here as soon as they are made available, so please check back periodically. For biographic snapshots of all conference presenters, and a schedule of the plenary and breakout sessions, click here. J. Jondhi Harrell is the Founder and Executive Director of The Center for Returning Citizens (TCRC) in Philadelphia, which offers comprehensive services for formerly incarcerated individuals. Upon his release in 2009 after 25 years in federal custody, he completed his B.S. in Human Service Management and is currently enrolled in Temple University’s Masters of Social Work program. 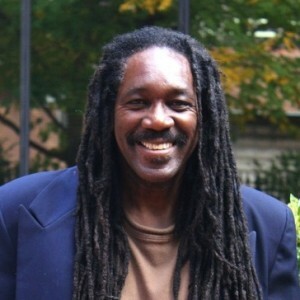 Mr. Harrell is Co-Clerk of the Germantown Friends Peace & Social Justice Committee, serves on the National Committee of Alternatives to Violence Re-Entry Program, is an organizer for the Formerly Incarcerated and Families Working Group/Decarcerate PA. He also serves on the Executive Committee of Coalition against Mass Incarceration (CAMI Philly) and is co-founder of the BLOC Party (Build Lobby Organize Campaign), the movement to forge returning citizens of Philadelphia and Pennsylvania into a cultural, social, political, and economic coalition. More information about Jondhi Harrell can be found in an interview conducted with AFSC, “Quakerism mandates leadership: J.Jondhi Harrell on mass incarceration.” More information about TCRC can be found at tcrcphilly.org. Daniel Hunter is an organizer and strategist with Training for Change, an activist training organization. 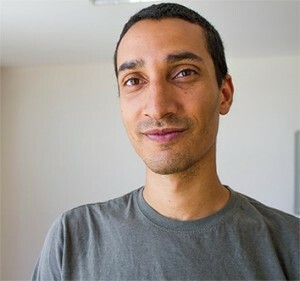 He’s sought all over the globe for his expertise in organizing and direct action, having trained tens of thousands of activists in over a dozen countries. 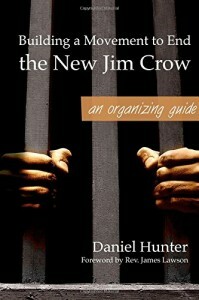 He is the author of Building a Movement to End the New Jim Crow: an organizing guide. Previously, he wrote a compelling narrative bringing to life the vibrancy of direct action campaigning in Strategy and Soul. He is also a contributor to the books Beautiful Trouble and We Have Not Been Moved: Resisting Racism and Militarism in 21st Century America. More information about Daniel Hunter can be found on his website, www.danielhunter.org.